To crop the video means that you trim the unwanted borders of images or resize them to the perfect one you desire, and here we do not refer to cut the duration of video file. To get a pleasant YouTube video, an easy-to-use YouTube video cropper can be a great assistant. Generally, there are two ways you can do it, online or offline. Next we'll show you how to crop a YouTube video with an online video cropper and a desktop video cropper program, respectively. There are a lot of best online video croppers on the Internet and Online Video Cutter Cropper is one of them. No registration, no software installation needed, and you can easily crop a YouTube video online free of charge in a few minutes. Now follow the simple steps below to learn how to crop YouTube video files online. 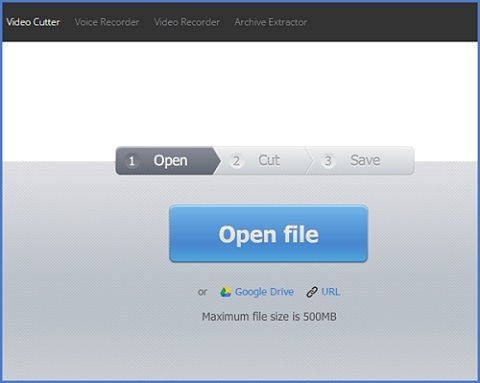 Go to the official website of Online Video Cutter Cropper first. Then click the blue "Open file" button to import your target YouTube videos. You're also allowed to add a file from Google Drive or paste an URL directly. Remember that the size of your YouTube video file cannot exceed 500MB. After the required video is successfully uploaded, click the Crop icon at the lower left corner to crop YouTube video online. Move the white border line to determine the area you like. You can also rotate the video if needed, or cut the duration of video file. Then choose the output video quality from 240p, 360p, 480p, 720p, 1080p to Max, and pick an output format like MP4, FLV, AVI, MPG, 3GP. Once all the settings are done, click the "Cut" button to start cropping YouTube video clip. Afterwards, press the "Download" button to save the cropped YouTube videos to your computer, or save it to Google Drive, Dropbox, as you like. 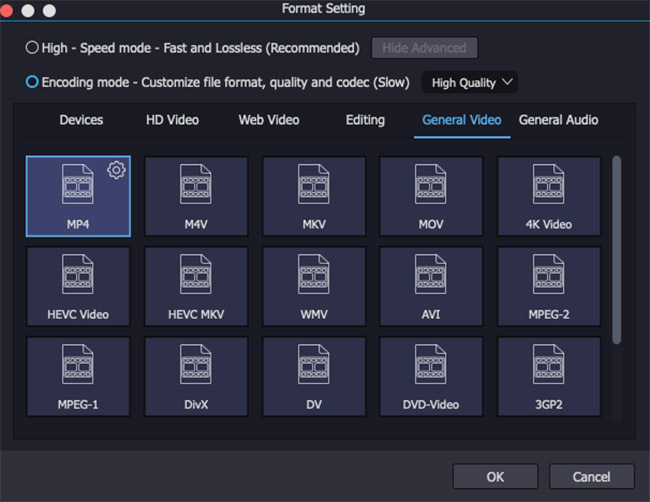 Although online video cropper tool can help crop YouTube videos easily and directly, yet it also has some disadvantages such as risk for privacy leakage, slow uploading, processing and downloading speed due to internet connectivity issues, and simple video editing features, etc. So, if you're not happy with this method, you can turn to the second one - Crop YouTube videos with powerful desktop video cropper such as Joyoshare Media Cutter. 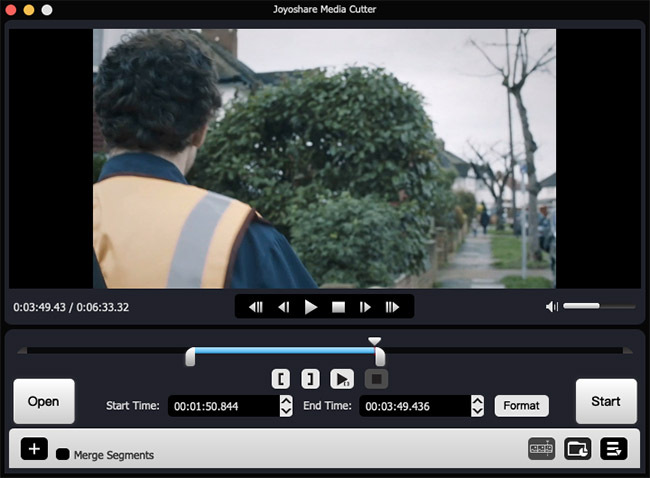 Joyoshare Media Cutter for Windows (Joyoshare Media Cutter for Mac) is a smart and professional video cutter cropper that allows you to crop YouTube videos in an easy way. You can drag the borders to the desired place customize the crop area size manually. Besides, you're also enabled to change the aspect ratio of YouTube video file or rotate the video to the right direction. Additionally, other editing tools such as add subtitles and watermarks, apply amazing video effects, etc. are freely to use. Moreover, it supports tons of media formats like MP4, FLV, MKV, M4V, AVI, MOV, MPG, MPEG, 3GP, 3G2, DV, VOB, WTV, OGV, WMV, ASF, etc. 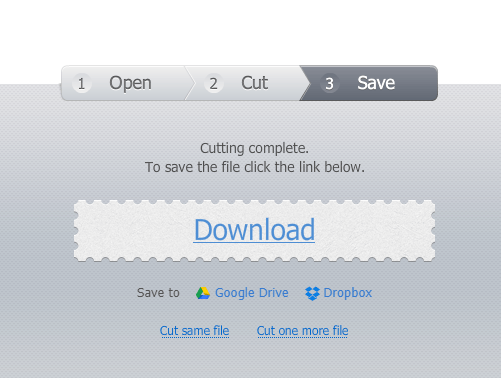 Go to the download page of Joyoshare and choose Media Cutter to download and install it on your computer. Launch Joyoshare and click the "Open" button to add a YouTube video to the program. Alternatively, simple drag and drop the YouTube video file to Joyoshare. 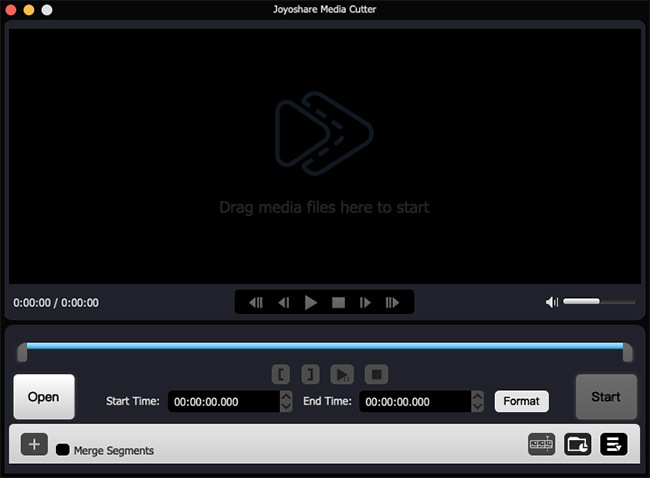 Joyoshare Media Cutter supports both Windows and Mac operating system, and here we take Joyoshare Media Cutter Mac version as an example. Click the Edit icon next to the video clip and then a new window pops up. (If you didn't see the Edit icon, hit the "Show segment list" icon on the main interface and show it up.) Then tap the "Adjust" option on the top menu bar, now move the white frame to zoom in or zoom out the crop area, or enter the pixel value of width and height manually. 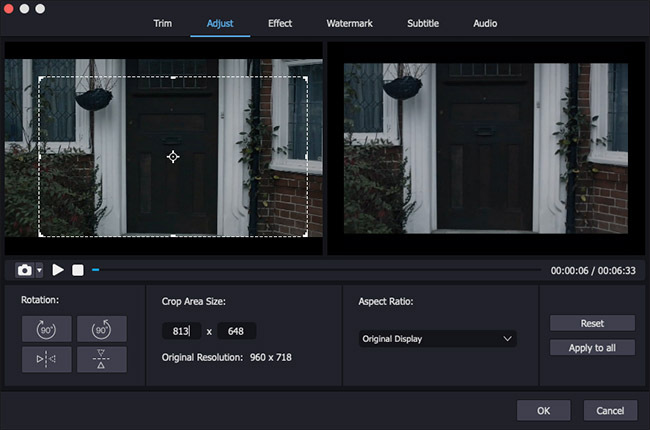 You can also edit the YouTube videos based on your needs, such as rotate the video, adjust the contrast, brightness, saturation and hue, insert watermarks and subtitles, add special effects, etc. Explore the program to see whether you need them. Note: Keep in mind that the aspect ratio of the cropped YouTube video file should keep the same with that of the selected output format. Otherwise, the result will be generated with black bars. Next click the "Format" button and choose the "Encoding mode" to crop and convert your YouTube videos. Then choose an output format and device, and you can also change the resolution, codec, bit rate, channel, sample rate, etc. if necessary. Now press the "Start" button to begin to crop and convert the YouTube video to the local folder of your computer.